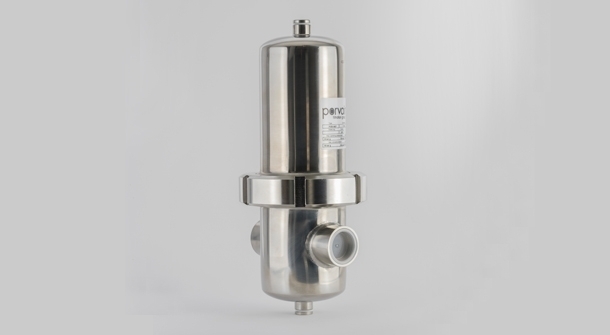 The Compfil™ SH stainless steel filter housings, which are avaliable in 18 different sizes, are used for the purification of compressed air and other technical gases. The optimized construction of the Compfil™ SH offers low differential pressure at high flow rates. 18 different sizes for operating volumes from 60 Nm3/h (0.38 lb/ft3) to 23,040 Nm3/h (146.67lb/ft3) related to 7bar (101.5psi). Complies to the requirements of the European directive 97/23/EG for pressure vessels. Plug connection guarantees that the elements remain safely fixed at all times. Different element sizes can be installed due to the modular design.